It seems like everywhere nowadays there are fitness group classes being offered. For those who might want to offer fitness group classes to others, or workout at home, there are many flooring options out there. For anyone who needs a durable yet comfortable flooring solution, there’s no better choice than Greatmats’ PaviGym Motion flooring. PaviGym Motion flooring is made with virgin rubber, making it a high quality floor that will last for years. It’s been designed to be able to be used for a wide range of activities, including those that require small accessories such as dumbbells or steps. 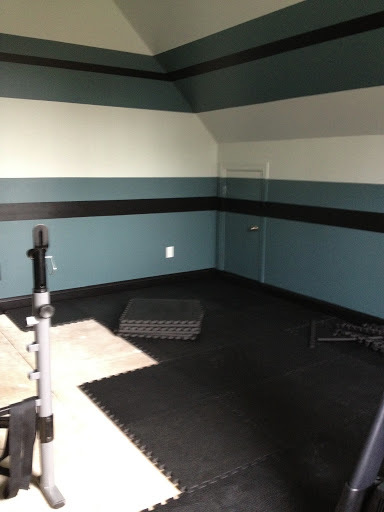 The flooring is durable and will be able to stand up to the use of these exercise accessories. This flooring is also designed to resist scuffs and marks on the floor from dropped weights, letting this flooring look fresh and clean even after years of use. PaviGym Motion flooring includes special Point Elasticity properties that absorbs impacts and prevents vibrations from being transferred in the flooring away from the point of impact. This innovative design helps reduce injury. To add to the list of amazing qualities this flooring posses, PaviGym Motion’s top surface has optimized friction, meaning it gives the perfect amount of grip for aerobic exercises. This helps reduce painful falls and blows that can lead to injury, while also not providing too much grip which can lead to sprained ankles. This model, as with the entire Pavigym range, is available in a wide variety of options, allowing us to offer a unique product for every customer. Greatmats understand that every customer needs an individualized flooring solution because no room or use case is exactly the same. That’s why this model, as well as the entire PaviGym line of products, is available in a wide selection of different options. This allows Greatmats to help provide the perfect flooring solution to every customer. PaviGym Motion is 9 mm thick and 3×3 feet in size. The large tile size reduces the number of seams in the floor and allows for faster installation in large rooms. PaviGym Motion floor is available in three color options including black marble, stone grey, and wengue. For other PaviGym products, visit our PaviGym flooring page. Our 1-inch thick Martial Arts Karate Mats Premium are designed for Karate and Taekwondo. These interlocking karate mats are firm, high density polyethylene (PE) and ethylene vinyl acetate (EVA) foam tiles with a smooth leather surface finish specifically designed for barefoot and soft shoe foot work and striking moves. Choose Greatmats 1 inch Karate mat when you are looking for a quality flooring surface for your dojo. The EVA material of each 40×40 inch mat carries with it a Shore C 50 density and non-absorbent qualities. It is kid safe, and due to the interlocking design, requires no special adhesives for installation. Each tile comes with four border strips, giving you endless options for corner, wall-to-wall or island installation. Used in hundreds of studios nationwide for more than 10 years, this mat has withstood the test of time. Greatmats 1-year warranty will stand behind any manufacturer defects. You can be confident in the longevity of this 1 inch thick interlocking Karate, Taekwondo and Kung Fu mat. This product is guaranteed for bare feet and soft shoes only. 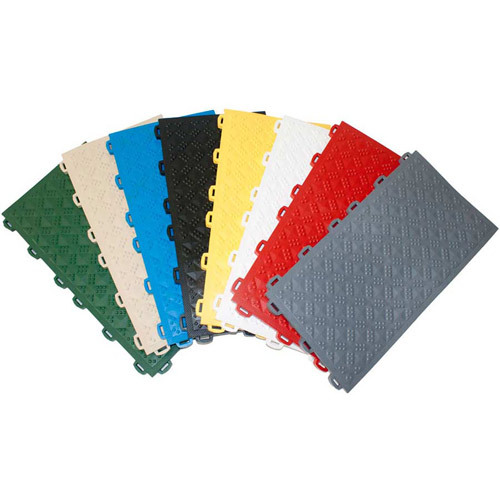 High-density mats are specifically designed for Karate and Taekwondo floors. Our 1-inch mats are manufactured to meet strict design specs. These foam mats have been a favorite for trainers and teachers globally for more than a decade. Each 1-inch thick mat has a coverage area of 10.76 square feet and each one weighs 8 pounds. The reversible Karate floor mats come in three multi-color options: black/gray, red/blue and wooden/black. Color tone variations can and will most likely occur within the same batch of mats. Even mats that are made at the factory within minutes of each other can vary in color. This is common with all interlocking EVA foam mats. Customers have also found success with these mats for jazzercise and yoga studios. You can install the tiles over any hard floor surface. Installation over carpeting is not recommended though, as the tiles could slip. Because of the interlocking design, our karate mats require no special adhesives for installation. Use the included border strips to create an island installation or to create a finished edge. For a wall-to-wall installation, your mats may need to be cut to fit. If your Karate mats need to be cut to fit, simply use a straight edge and a sharp utility knife to customize the interlocking tiles for your space. Allow an approximately 1/2-inch gap around the perimeter of your room during installation to allow for mat expansion which can occur with fluctuations in heat and humidity. Keep direct sunlight off the mats if possible as this can heat them up and cause expansion. Be sure to clean your mats regularly with a vacuum (after testing the vacuum on the tiles to make sure it does not damage your martial arts flooring). Use a damp mop with basic household soap and hot water as needed. Spot clean using a scrubby and a sponge. A walk behind auto cleaning machine is recommended for cleaning this karate flooring in large commercial areas. There’s no doubt about it, 32-year martial arts veteran David Younglove knows the importance of a proper foundation. Beginning his training as a martial artist in 1983, Mr. Younglove earned his first blackbelt and began teaching Karate by the age of 17. A Minnesota state champion, Mr. Younglove joined the U.S. Marine Corp in the early 1990s where he trained Thailand Marines in hand-to-hand combat. Despite these less-than-ideal training surfaces, Mr. Younglove continued to pursue his passion for martial arts and, from 2012 to 2014, he was the top-ranked North Central Karate Association (NCKA) competitor in traditional form for 40-49 year olds. In July of last year, this sixth-degree blackbelt finally found the perfect martial arts flooring on Greatmats.com – 1 inch thick foam karate mats. These 1×1 meter interlocking foam tiles, designed to look like wood floors, have a leather-like, waterproof surface that provides both proper stability and cushion. After inspecting a free sample of the Greatmats Karate Mats, Mr. Younglove purchased three tiles and snapped them together for a test. In fact, he liked them so much that he not only purchased them as his dojo flooring at USA Karate in Rosemount, Minn., but also for his yoga studio in the same building. Mr. Younglove noted that it took about six months of regular use to fully break in the flooring, which was a bit slippery to start, but it was well worth the patience, knowing that he offers yet another tool in helping his students build the best foundation in self-esteem with a positive and safe learning environment.